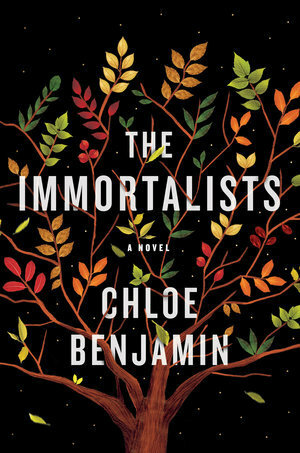 Chloe Benjamin's highly anticipated sophomore novel, The Immortalists, begins with four young siblings visiting a psychic and learning the dates of their deaths. Whether the psychic's powers of prophecy are true, or simply plant seeds of suggestion in the children's minds, remains to be seen. 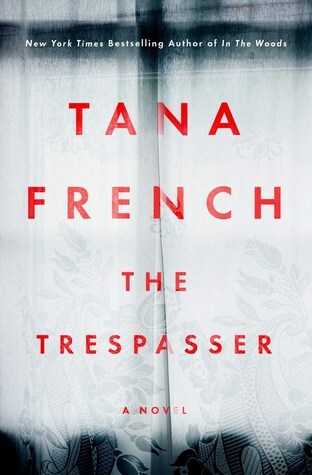 As the siblings grow and choose lives for themselves—Simon moves to San Francisco and becomes a dancer; Klara moves to Las Vegas, where she hopes to practice magic with her husband; Daniel joins the military as a doctor and lives a stolid, responsible life; and Varya does longevity experiments on primates in a California lab—Benjamin asks us to examine the extent that fate and choice play in our destinies. 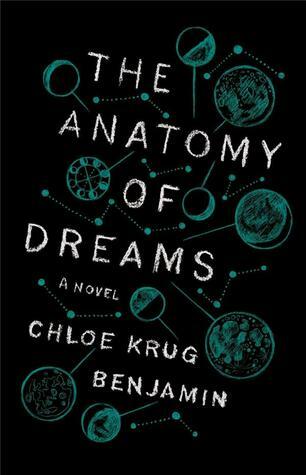 Benjamin's debut, The Anatomy of Dreams, won the Edna Ferber Fiction Book Award. The Immortalists is already generating lots of pre-publication buzz. Benjamin spoke with Heather Scott Partington about the power of belief and magic. Goodreads: I wonder if you could talk about how much you plotted ahead of time and how much you surrendered to the writing process. Chloe Benjamin: I think it's a little bit of both. I admire writers who are able to outline, but for me that takes some of the magic out of it, so I tend to follow this phrase that I heard—you can only see as far as the headlights go, but you can make the whole trip that way. So I always know what I'm doing for the next few scenes, and I generally have some sense of the ending that I want to get to—whether that's the end of the section or the end of the book. That's always part of the joy of drafting, but certainly there's a little bit of push and pull with the things I do have planned for characters and then the direction that the book takes as I am writing it. GR: Did you do any kind of historical research for the novel? CB: Yes, a ton! I tend to pick these projects that require a lot of research, and this one really takes the cake! Really, for every section. I mean, I have some relationships to certain things in the book: I am from San Francisco, so geographically I know it, but I was not really cognizant during the time of AIDS, and certainly I don't have the experience of being a gay man, so…I am a former ballet dancer, so that was another thing that I can put in the column of things that I do know about, but essentially it was just a lot of research for every section: geographical, historical, often in terms of culture and language. GR: Was there anything that you were particularly affected by when you were doing your research? CB: Oh yeah. So much. I mean, really, each section took probably two-and-a-half to three years, for a first draft, so roughly the same amount of time for each character, so I was really living with each of these time periods and events. I was profoundly affected by, in particular, the documentaries and footage of people speaking about the AIDS crisis. The world of magic was just fascinating, and I was really intrigued by the sexism that I found in it. How rare it is for female magicians to be successful, even today. How male dominated, and white dominated, that field is. The Iraq and Afghanistan research was really powerful. That's a war that I lived through, but I was pretty young—like a young teen, and so coming back to it now, as an adult, and really delving deep was pretty harrowing. And then the primate section was just pretty brutal to research and then, in some parts, to write. I included a mention about how people can support primate sanctuaries if they are upset by that section or moved by it. I know that animal testing and primate testing are really tough for a lot of people to read about. GR: Did you go watch magic shows? Was that a part of your research? CB: I didn't go to any shows in a theater. But I did watch a lot of videos on YouTube. Young magicians, but also performances, documentaries, a lot of historical research. 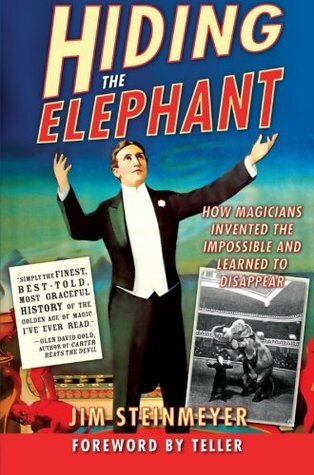 There's an amazing book that I mention in the acknowledgements called Hiding the Elephant [by Jim Steinmeyer] that is written by a stage illusionist, and he really takes you through 200 years of magical history but also interpersonal history, looking at the way that various magicians had conflict and rivalries. It was just beautifully done. GR: The tone of each section is really distinct. Was there something that you kept in mind as you were writing each person's story, in terms of embodying those characters and giving them each their own distinct narrative? CB: Each section was really immersive, and I didn't write them at the same time. There are some times when a scene from later in the book would come to me early. But primarily, because I did these deep dives with each character, I just felt really attached to them. I have to say, I love the characters in this book more madly than anything else I've written—which I am sure makes me some kind of textbook narcissist! But I really just love them. I think that comes through, too. I think readers feel more of an emotional connection with these characters because I do. But I also didn't want to be biased in the way that I show their thoughts and flaws and mistakes. So they definitely each have a slightly different tone within that close third [point of view]. That's a perspective that I've always been drawn to—I just love the flexibility of it, being able to be a little bit more creative with my prose, to not be bound to that first person [point of view]—like, what would this person think or say, but also being able to inflect each section with the kind of hue of these four characters. GR: Are there authors who were influential for you in that way with a close third-person point of view, or authors whose work you're drawn to? CB: I read this book during or after I finished The Immortalists—I can't remember which, but—A Little Life, but that book I adored…if I'm remembering correctly, I think it's a close third [point of view] when it's focused on each of the four characters, even if Jude is the main one. I think The Interestings might be that way as well, and I love The Interestings. And that was a book that I found really inspiring for the way that it followed this close-knit group of people over many years. But in terms of writers I love, or whose prose has affected me: My all-time-favorite writer is Alice Munro. 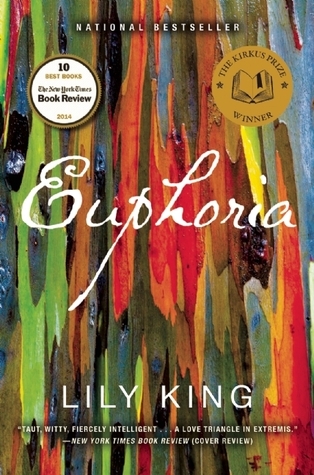 And her prose is so interesting and unique; I don't think that mine is particularly like hers, but I loved the surprise embedded in each of her stories, the way that she follows these very whole lives, and you'll jump 30 or 50 years in the future. That kind of panoramic perspective—and just the surprise and delight of learning something. That's something that I try to give the reader as well. I also grew up just reading tons of short story writers, so Lorrie Moore, Flannery O'Connor, Raymond Carver, George Saunders, Mary Gaitskill, Z.Z. Packer…I think the attention that a lot of short story writers pay to each sentence is something that I've always been impressed by. GR: Was it part of the discovery for you—learning how each character would respond differently to the same kind of sentence? CB: Yes, but I also intentionally wanted to make each of their outcomes different. So it was really important to craft their particular orientation toward the prophecy, which included their orientation toward things like religion and free will and fate and magic. So that was some of the really hard, muscle-y writing. 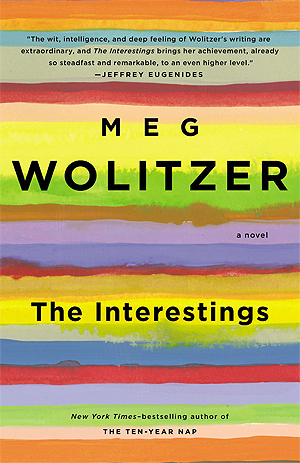 Figuring out: How could these people philosophically approach life, in a way that didn't make the reader feel as though they were experiencing Groundhog Day with everything. But I think there's also an organic element for me in figuring out what feels right for each character, and for me, personally, I don't have a firm idea about whether or not this woman had powers or whether it was entirely self-fulfilling. I think I believe something that's in a gray area. So I wanted to let that gray area live and bloom in the book without having to pin it down one way or the other. GR: Joy wants to know: If this was something that happened to you—if you were given a date for your own death—would you be living your life in a different way? CB: I have thought about whether I would want to know my date of death, and I always say only if it were good. It's a paradox! But would I live it a different way? I think yes. I think it would be impossible not to, depending on what it was. Maybe I wouldn't live it differently if it was very far in the future, because that's sort of the supposition that we all go on, and hope for, but certainly if it were soon, I think that that would impact the decisions that I made. GR: Goodreads user Sophie asks: What does your writing process look like? For example, what is an average writing day like for you? CB: It's changed a little bit because, when I was working on this book, I was working a day job in social services. And since I finished the book, I've been able to start writing full-time, which is an amazing gift. So I did my MFA in fiction [at the University of Wisconsin, Madison], and after that I found my way, almost accidentally, into the nonprofit world. I worked for an organization that supports victims of domestic violence. So when I was there, I worked Monday through Thursday, and I was able to write Fridays through Sundays. So my schedule was to try to be working by about 9 a.m. on those days, and I usually tap out after three or four hours…but if I can do that consistently, I can make mostly steady progress. And when I was racing toward the finish line, or when I was in revisions once the book was with the publisher, I would get up early before work and write in the early morning. So right now it's not too different; it's just that I can do that every day of the week, or have weekends now. So, ideally, I'm up and working by about 9, and then in the afternoons I will do more research or work on promotion for The Immortalists, things like that. But I'm a morning writer. I don't have a certain word count that I hit. I just feel like I have to show up and make some sort of progress. GR: Next question, from Aida: How did you decide on a career in writing? Was it something you always wanted to do? CB: Definitely something that I always wanted to do. You kind of have to be—I'd love to hear someone who decided to be a fiction writer as a second career choice. It's impractical, and it's not easy! You really have to do it out of love. I was one of those kids who was always writing stories from a really early age, and that passion remained throughout my teenage years and into college. I really knew—since I was an early teen—that I wanted to try to be a writer. And my senior year of college I applied to MFA programs, which isn't the right choice for everyone. Certainly I was grateful to have the opportunity and the community and to really focus intensely on my writing for those two years after college. I just love it! There's nothing else that I want to do as much! GR: What's the best thing you've read recently? 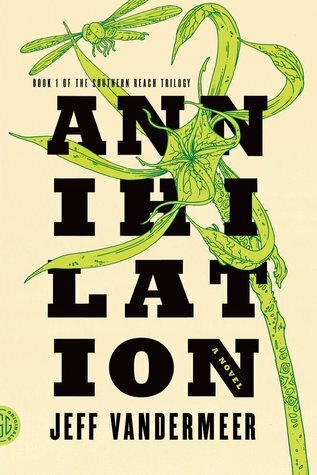 CB: One of the best things I've read lately…My husband is currently reading the Southern Reach trilogy, which I loved, so I'm sort of having those jealous feelings for him [getting to read] it for the first time. 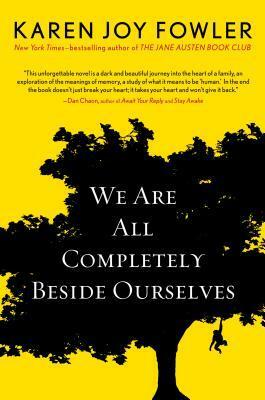 Here's a few that I loved: We Are All Completely Beside Ourselves by Karen Joy Fowler, Euphoria by Lily King—I loved that this year—and I love Tana French, so her latest, The Tresspasser, I really loved. Read more of our exclusive author interviews and get more great reading recommendations. I adored this story and it's characters. By the end I felt as if I had lived and known all these siblings. Thank you Ms. Banjamin for an excellent read--a story which will remain with me for a long time. This was such a great book!! The layers to it...it was just fantastically done. And the research is phenomenal, I loved reading this article after reading the book since it gave me such an appreciation for all the hard work that went into it! I enjoyed reading The Immortalists. Chloe Benjamin did a phenomenal job crafting the story. I am looking forward to her next book.